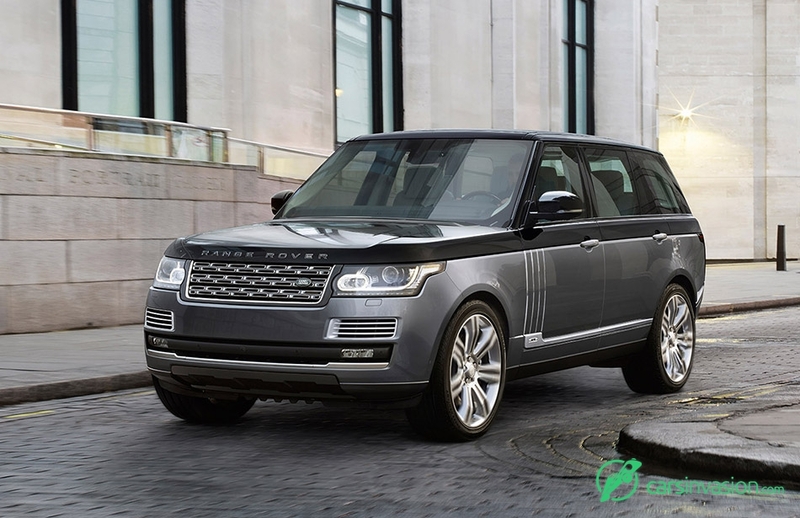 Land Rover will unveil the Range Rover SVAutobiography at the 2015 New York International Auto Show, adding even more luxury, design sophistication and performance to an enhanced line-up. Speaking ahead of the exclusive model's world premiere in New York, Land Rover's Design Director and Chief Creative Officer Gerry McGovern stated: "With the SVAutobiography we have taken the opportunity to optimise the Range Rover's luxury execution and precision while delivering beautiful detailing that considerably enhances the customer's experience of our flagship vehicle." 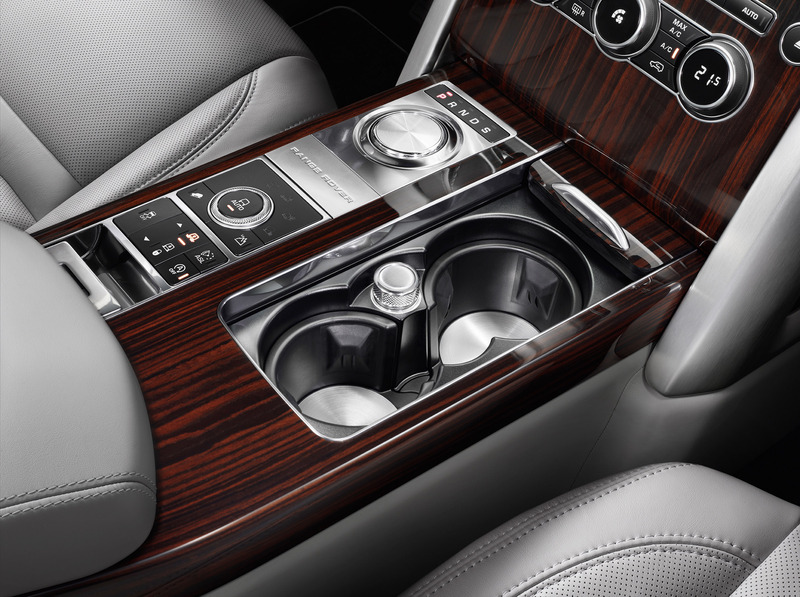 Exclusively crafted at Special Vehicle Operations' (SVO) Technical Centre in the UK, SVAutobiography features unique exterior design enhancements, an exclusive premium leather interior with unique trim finishes and the option of a 550PS 5.0-litre V8 supercharged engine for the first time. As a result, the SVAutobiography is the most luxurious and powerful series-production Range Rover in the model's successful 45-year history. 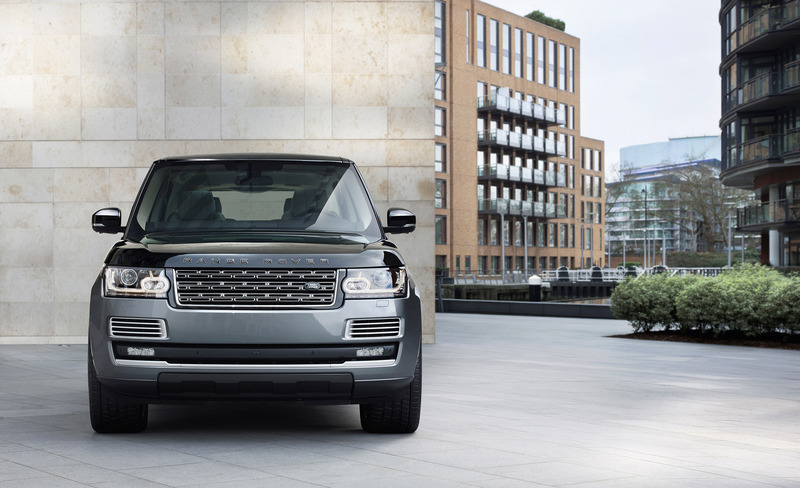 John Edwards, Managing Director of Jaguar Land Rover Special Operations, said: "Range Rover originally defined the luxury SUV segment and the new SVAutobiography, developed by Special Vehicle Operations, takes Range Rover to another level of comfort, craftsmanship and refinement." 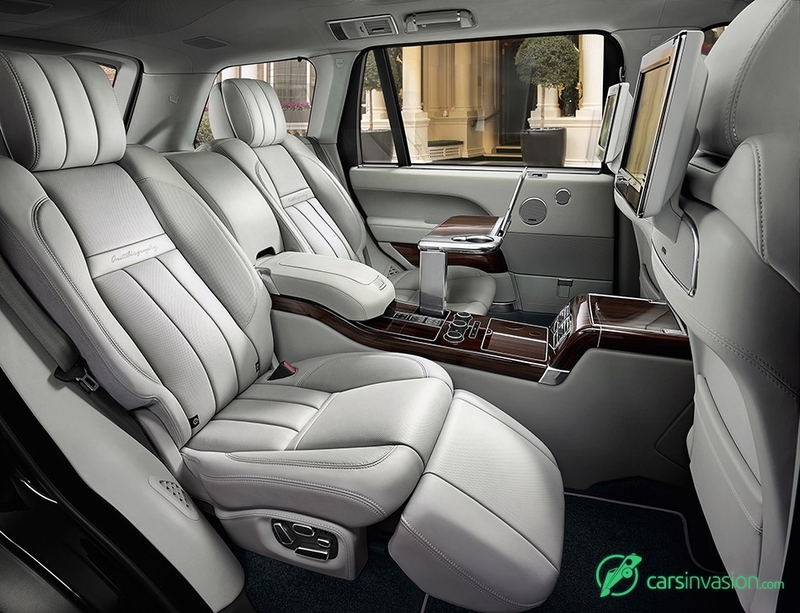 Available in standard and long wheelbase derivatives, the 2016 Model Year SVAutobiography takes the flagship Range Rover to even greater heights of design sophistication and levels of luxury execution. 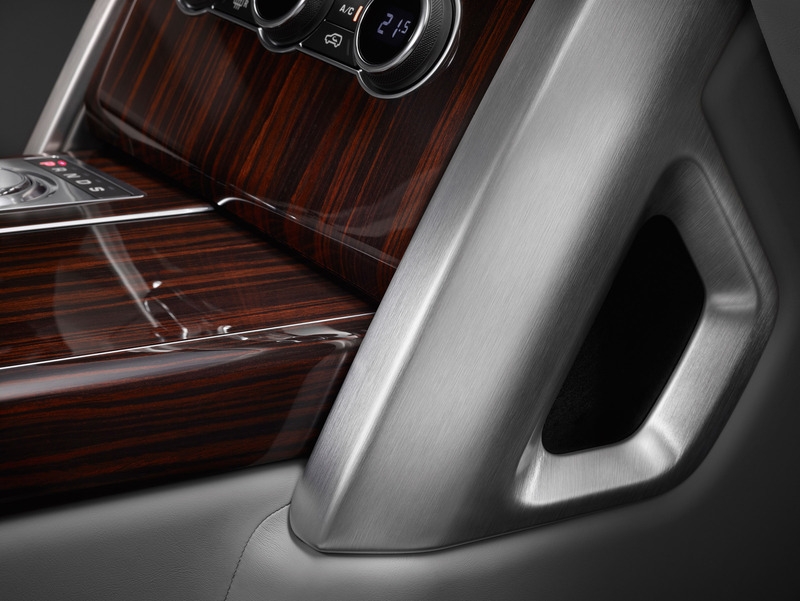 New features and exquisite detailing further consolidate its position as the world's most luxurious and capable vehicle. 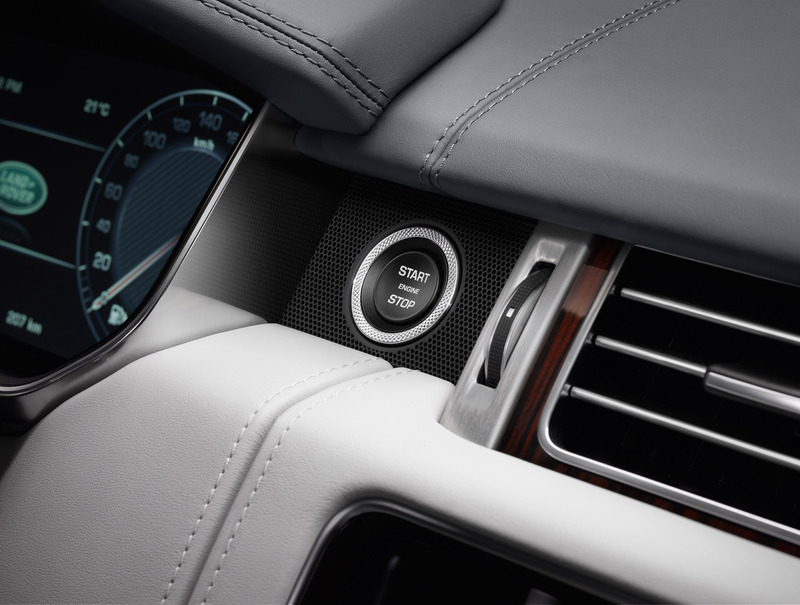 For the first time on Range Rover, customers of the 2016 Model Year SVAutobiography are able to specify a unique duo-tone body colour option. The combination of Santorini Black upper body and nine colour choices for the lower body create true distinction and individualism. 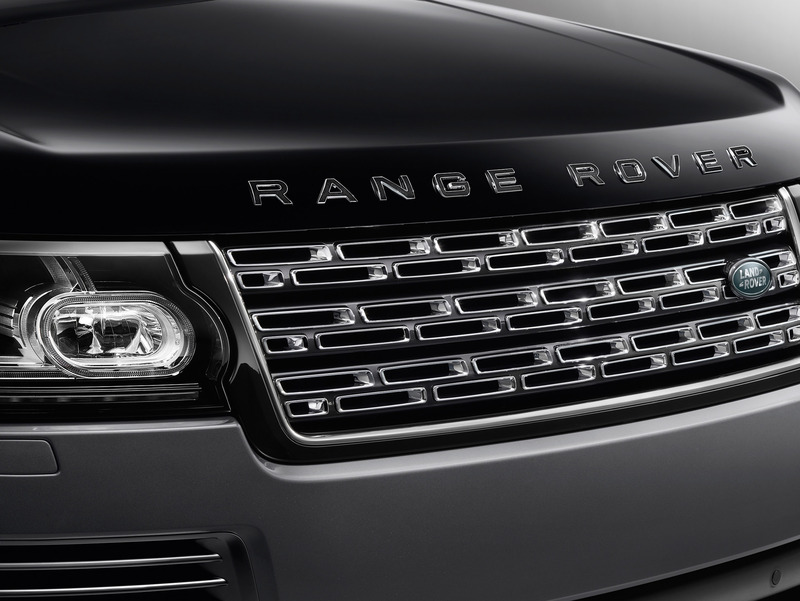 The 2016 Model Year vehicle is distinguished with new Range Rover bonnet lettering and the tailgate is adorned with the new SVAutobiography badging. The unique front grille is finished in distinctive Graphite Atlas and polished chrome, further promoting its visual differentiation. On the most powerful 550PS supercharged V8 version, quad tailpipes subtly hint at the huge reserves of power available. 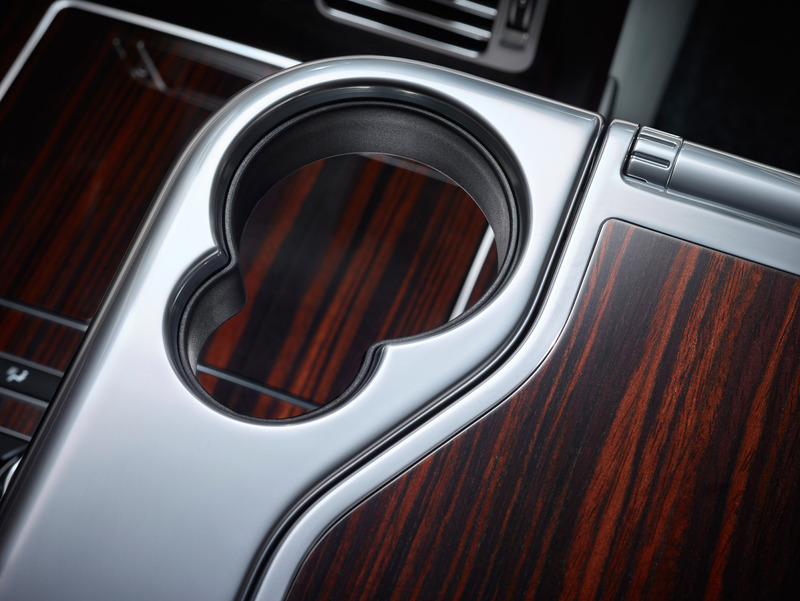 Much of the driver's switchgear including the start-stop surround and rotary controls are machined from solid aluminium with beautiful knurled details, as are the foot pedals. This detailing continues to both the front and rear centre consoles, with distinctive materials for the cup holder and socket covers. New armrest adjusters not only bring a similar level of machined detail, but also make them even easier to use. 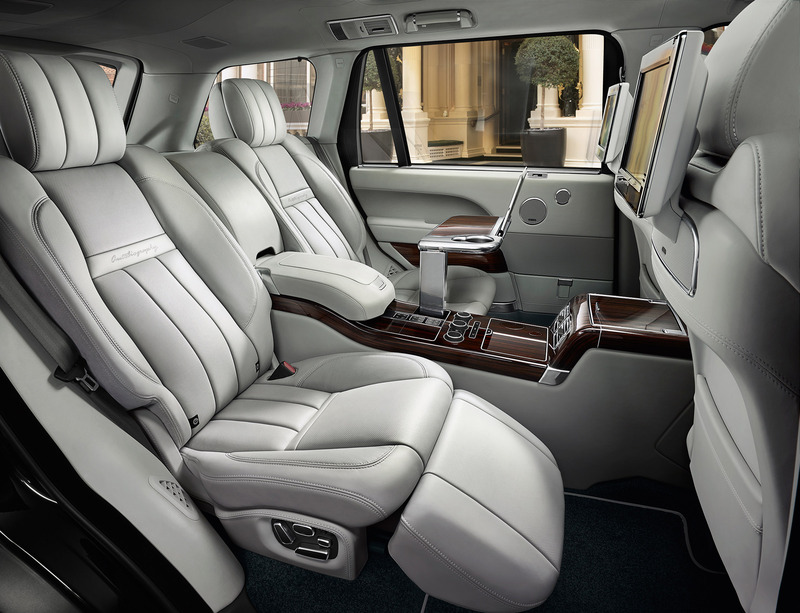 Rear-seat passengers relax in luxurious seating complete with a chiller compartment and powered deployable tables. Solid aluminium coat hooks are incorporated into the rear pillars while, on the floor, aluminium seat rail finishers and deep twist pile mohair carpet mats complete the feeling of sumptuous luxury. A leather-covered handbook and polished Autobiography key fob with knurled finish add finishing touches. 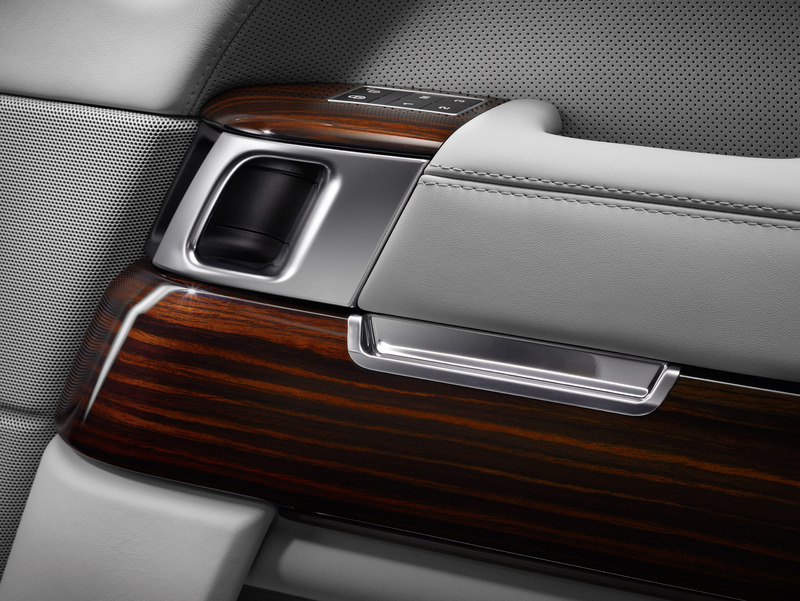 New to Range Rover for 2016 Model Year, the SVAutobiography offers the option of a sliding loadspace floor. Made from beautifully crafted aluminium and a choice of veneer options, the floor extends rearwards to optimise practicality and ease of use for loading and unloading. For those customers who enjoy the versatility of Range Rover's split tailgate, SVO has developed 'Event Seating.' Stowed in the luggage compartment, these can be quickly and easily deployed to provide comfortable seating for two adults on the tailgate lower. 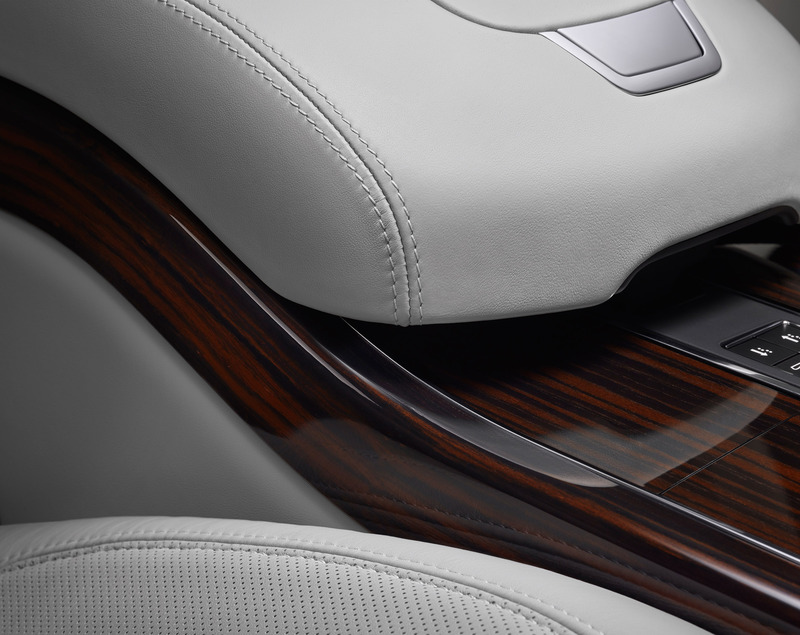 Hand crafted from beautiful Windsor leather with a highly durable aluminium frame, this option will appeal to those who appreciate the duality of Range Rover's 'business and pleasure' characteristics. Replacing the Autobiography Black at the top of the Range Rover line-up, SVAutobiography is available with a sensational 550PS V8 supercharged engine, combining peerless luxury with the most powerful engine in Range Rover's history. The all-aluminium 5.0-litre V8 supercharged engine, used to power the high performance Range Rover Sport SVR, has been re-tuned for the SVAutobiography. The potent engine produces an outstanding 550PS and 680Nm of torque, noticeable increases of 40PS and 55Nm respectively, compared with existing V8 supercharged Range Rover derivatives. With maximum torque available at 3,500rpm and a smooth and sophisticated ZF eight-speed automatic transmission, the SVAutobiography provides a breath-taking blend of performance, in-gear flexibility and refinement, no matter how challenging the terrain. The 550PS derivative has been engineered and optimised for unparalleled comfort and refinement, and features Brembo front brake callipers in gloss black finish. Complementing the introduction of SVAutobiography, a comprehensive suite of revisions underlines Range Rover's status as the ultimate luxury SUV. Courtesy of detailed calibration changes, the SDV6 Hybrid benefits from even lower CO2 emissions, and SDV8 derivatives are now offered with advanced stop-start technology, delivering 33.6mpg and CO2 emissions of 219g/km. Unrivalled off-road capability is a hallmark of the Range Rover line-up but Land Rover has provided even greater confidence for customers by extending the availability of its innovative All-Terrain Progress Control system to include SDV8 derivatives. For the first time 22-inch Dunlop QuattroMaxx performance-optimised tyres* are optionally available on Range Rover, taking dynamic capability to new levels. 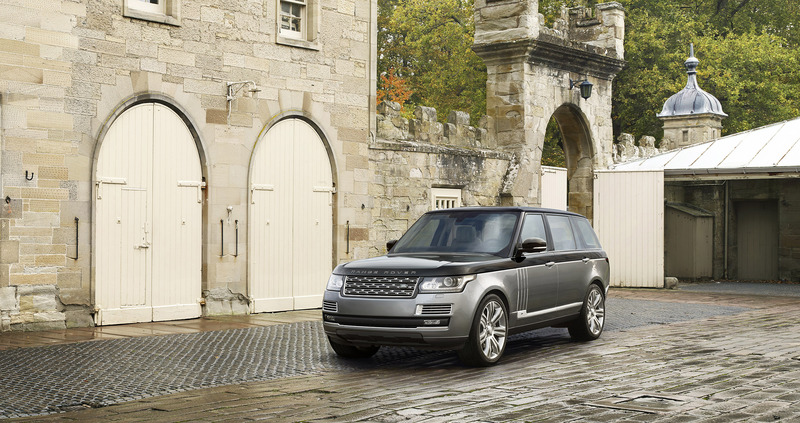 Underlining its status as the most luxurious SUV in the world, the 2016 Model Year Range Rover benefits from a host of additional and improved convenience features. These include a new, improved Surround Camera System with crisper graphics for enhanced clarity and an integrated washer jet for the rear camera. The new Gesture Tailgate provides hands-free access to the luggage area while Automatic Access Height automatically lowers the vehicle once parked, for improved entry and exit. Land Rover's InControl™ technologies continue to develop and now offer even greater smartphone connectivity, user convenience and market availability. InControl™ Remote Premium allows owners to remotely check the fuel level, lock and unlock the doors and flash the lights or sound the horn to help identify the vehicle in crowded car parks, all using a smartphone app.